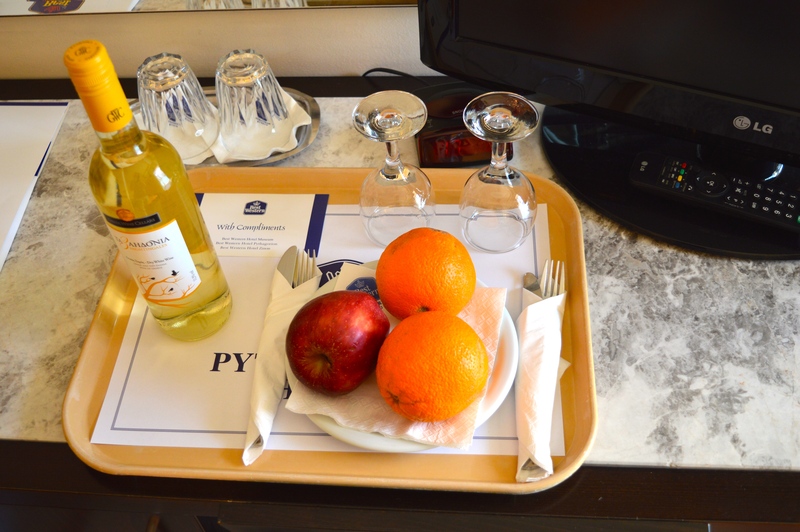 If I choose a hotel, especially for a city trip, the location is the most important aspect besides the price. 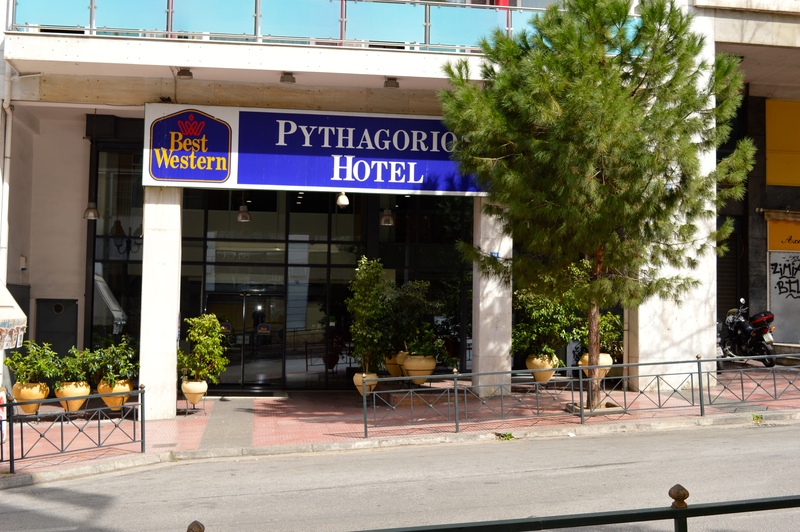 In advance of the trip I scouted out many hotels and finally I chose the 3-star Best Western Pythagorion Hotel. 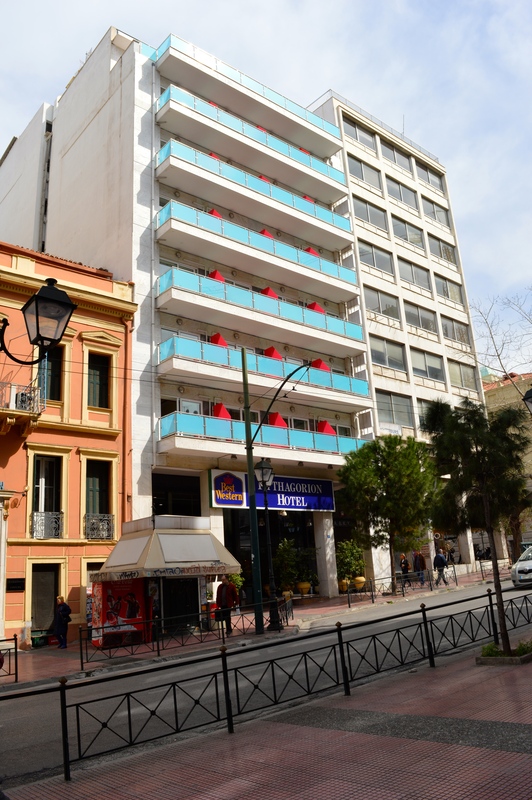 This hotel is located on Agiou Konstantinou Street, just a 3-minute walk west to Omonia Square. This big square is an ideal starting point for visiting the market, the shopping street Athinas and Monastiraki Square. 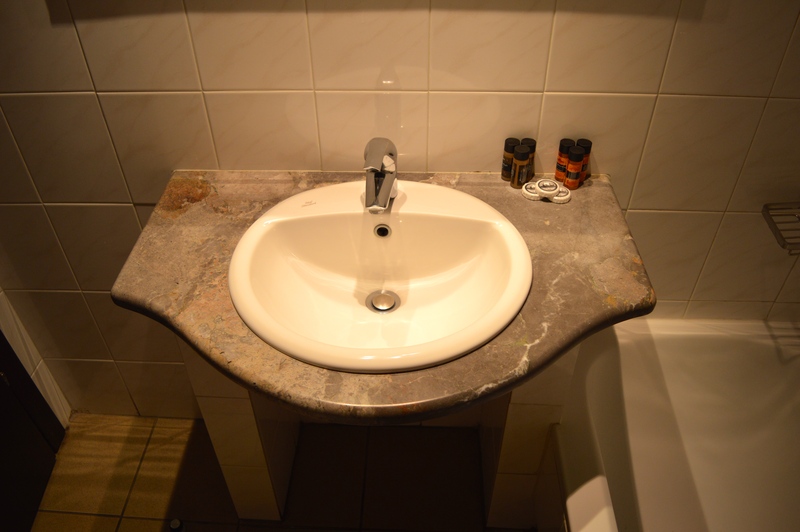 From there, you can turn on the beautiful Flea Market, start shopping in Ermou street or climb up to the Acropolis. 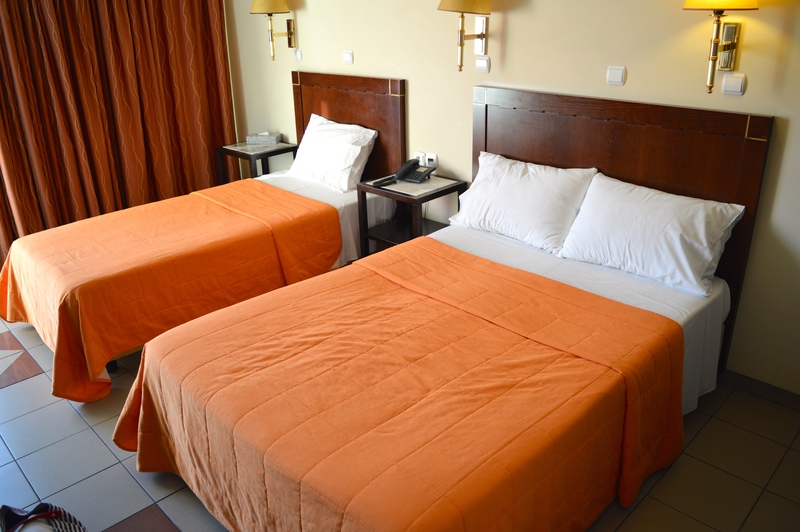 The spacious double room itself was in a very clean condition, but a bit noisy, even on the fifth floor. 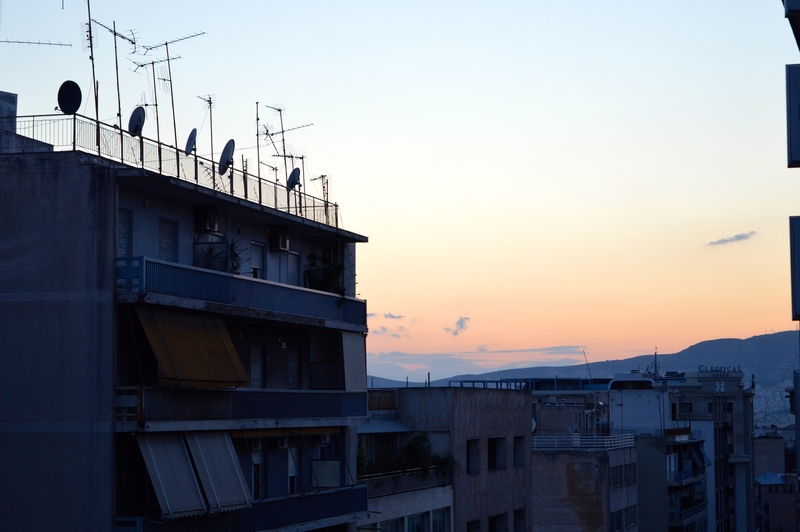 A bright, south-facing balcony offers a clear and nice view to Omonia Square and Lycabettus Hill. 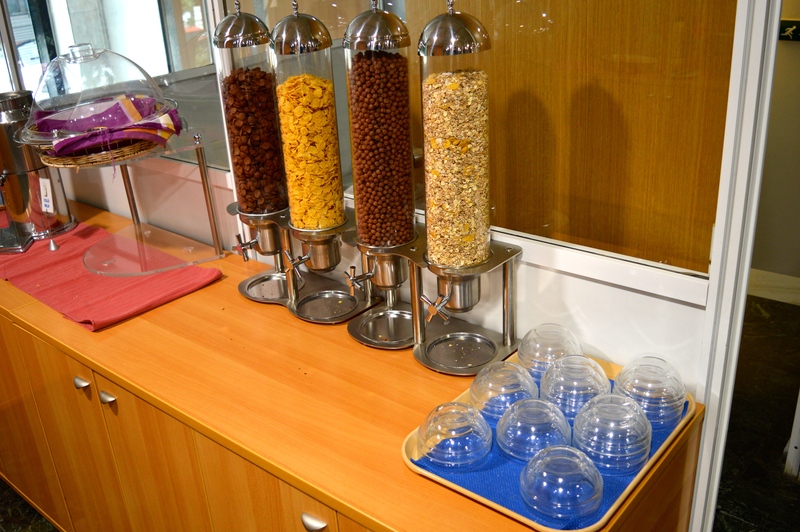 The highlight of the breakfast buffet is definitely the juicer, which allows to squeeze fresh orange juice unlimited. 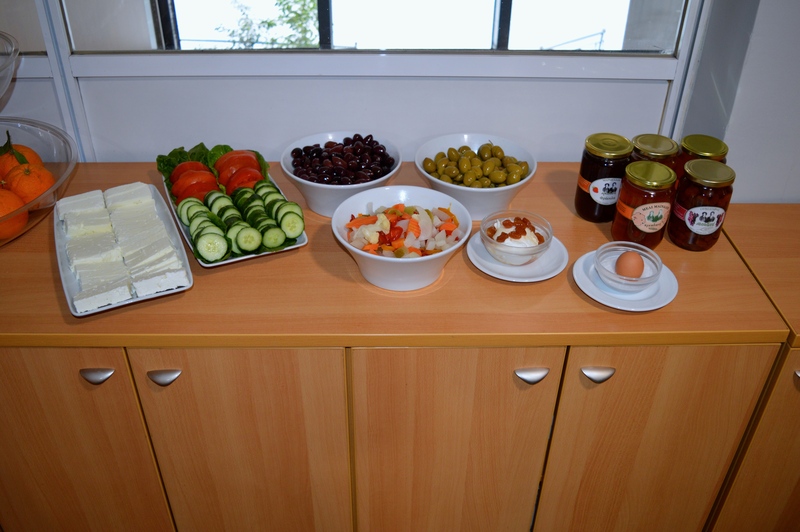 The reception staff were all very friendly, helpful and courteous! 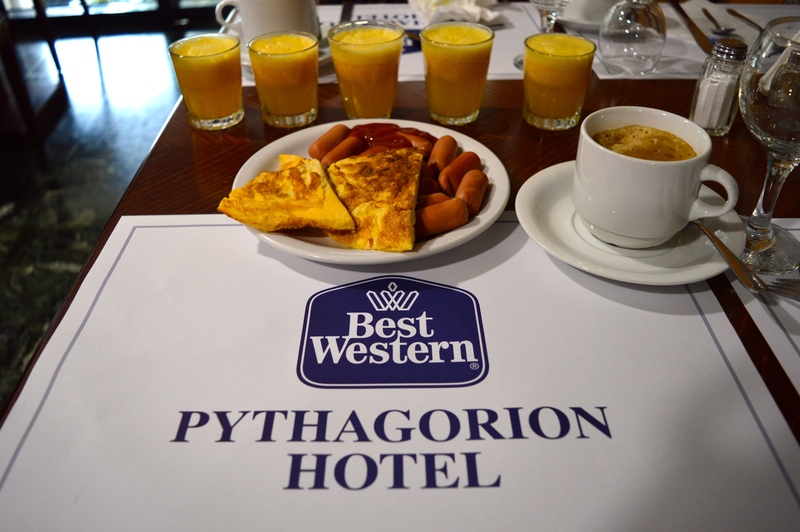 A special thank to the Best Western Pythagorion Hotel who has generously supported my trip.